The mystery of socks that go walkabouts may be a thing of the past with the introduction of self-pairing science. Using its patented ‘Polarity Fusion’ technology, the Northern Ireland company said it has perfected a process of twisting opposite and equal unique magnetic yarns into ‘pairs’ of socks. “By changing the direction of the twist of the yarn during the yarn fusion process we are able to change the polarity of copper-impregnated yarn,” a company spokesperson said. “A z-twist on the fibres gives the resultant yarn a positive polarity and an s-twist on the fibres gives the yarn a negative polarity. 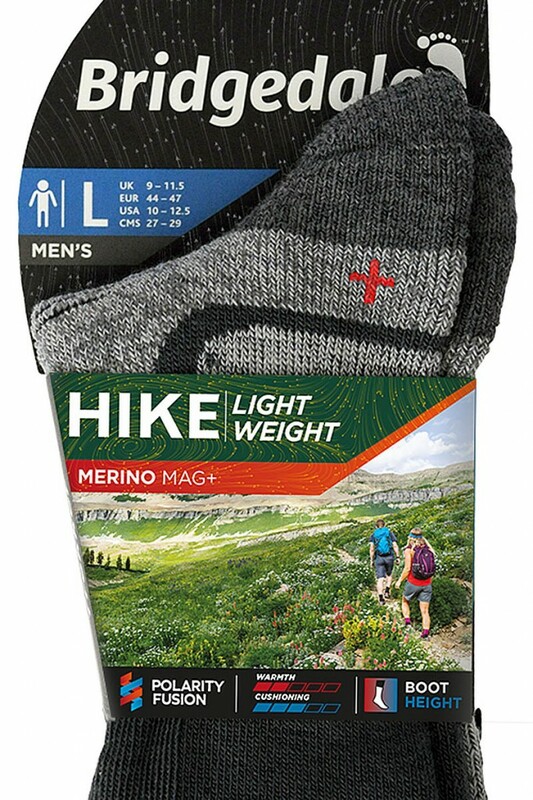 “Simply throw all your socks in the wash together – 30 degree eco cycle – and during the drying process, the heat activates the magnetic yarns and the matching pairs are drawn together and finish the wash as a pairs of socks. Bridgedale’s managing director Mark Brennan said: “This is a very exciting world-first technical breakthrough, which has taken us eight years to perfect. More details are on the Bridgedale website.